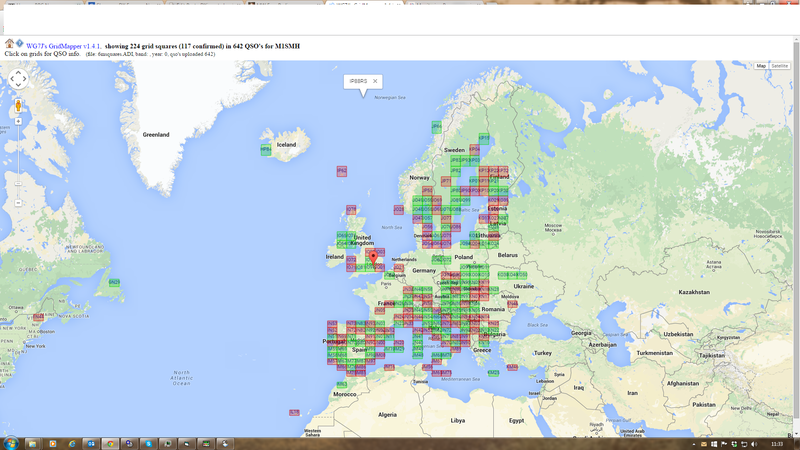 Had a decent opening on 14 May with TV DX from Belarus and Ukraine seen, as well as some OIRT logged and 6m stations from Latvia, Ukraine, Sweden and Finland! As we know my Band I video pass band is full of carriers, baby alarms etc and I was playing with a HS Pubs R1 Notch filter. The first video below is without the filter in line. The second video is with it in line and after I had played with the notch frequency and depth in order to try and reduce the patterning interference (from a baby alarm I’m sure). Here are the same two videos but using an older avi to mp4 converter app. This entry was posted in Sporadic E, TV on May 15, 2015 by admin.